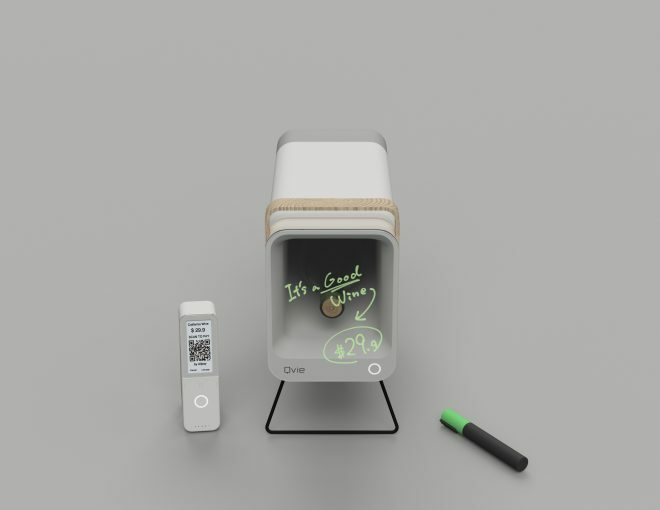 Cerevo Inc., an Internet connected consumer electronics manufacturer headquartered in Tokyo, Japan, announces “Qvie”, a minimal, connected, cashless private vending machine with 4G/3G connectivity. 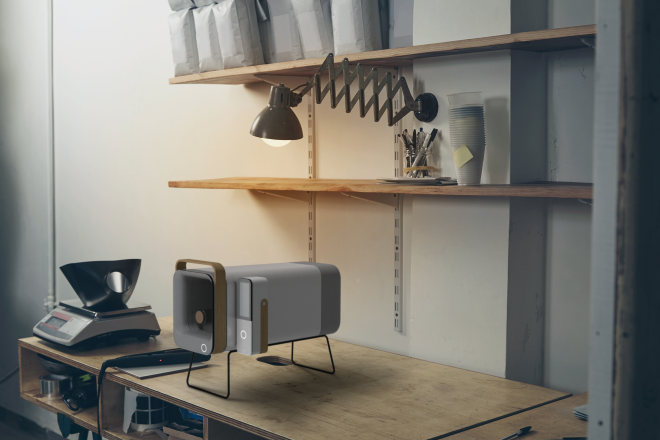 Owning Qvie allows you to instantly make your own shop and sell what you want, anywhere. Cerevo has developed Qvie so an extra value and revenue can be added to the growing number of sharing economy businesses such as leasing or renting short-term lodgings, room sharing, car sharing and so on. 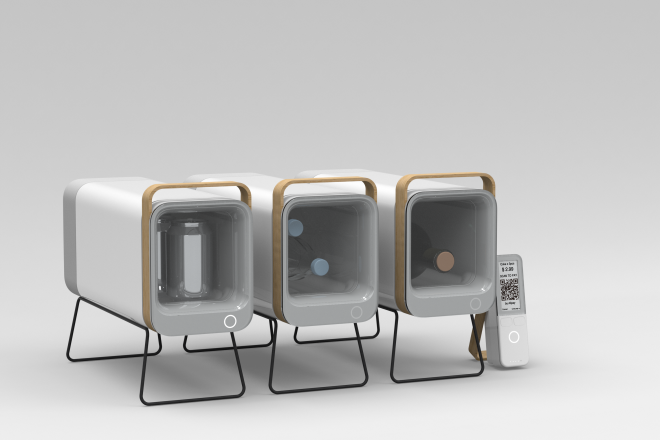 Qvie’s prototypes will be exhibited at CES 2018 which runs from 9th to 12nd January 2018 in Las Vegas, Nevada, United States and it is scheduled to be available for purchase in mid 2018. 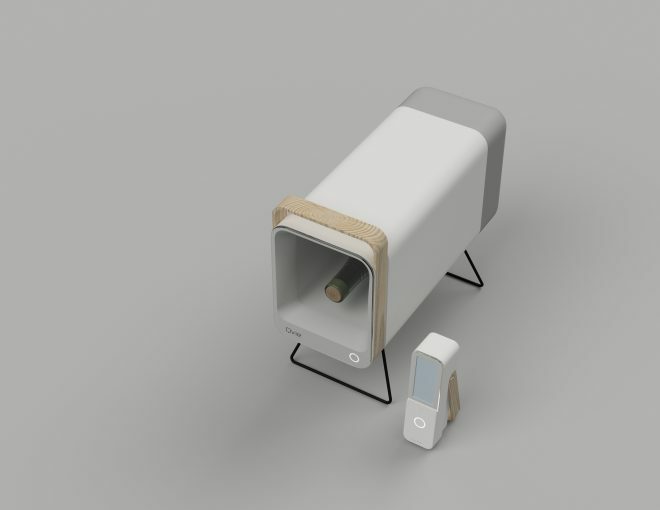 Qvie consists of an individually designed cargo unit where products will be stored and a head unit with an e-paper display which is for a payment settlement. When users and guests tap their mobile payment app on their smartphone, Qvie’s door automatically opens and users can take the products inside. It requires no power supply nor complicated set up of a dedicated network connection thanks to its lithium-ion battery for both the cargo unit and head unit that operates the electric door, and its own 4G/3G connectivity. Qvie will run for 1 month on battery power alone once the battery is charged so owners do not have to worry about a power supply or network connection. One head unit can manage multiple cargo units, so owners can create their own vending machines as they like according to available space and product type. For example, a Qvie owner can place it in their Airbnb rooms as a value-added service for their guests. 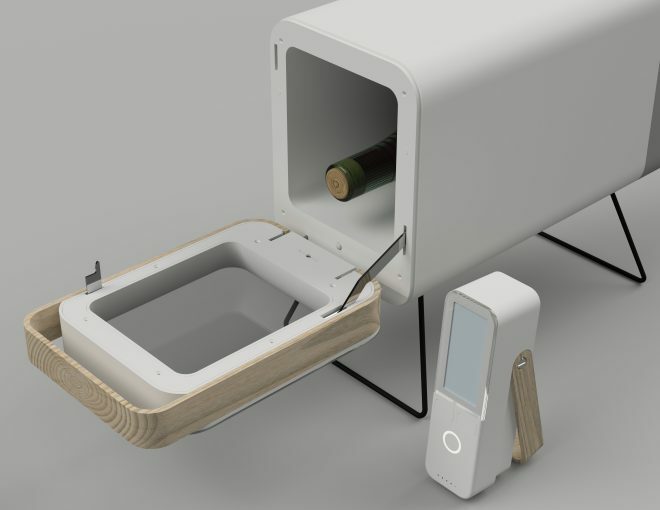 In the cargo space you can sell things that guests want to get quickly in daily life wherever they are, snacks, beverages, T-shirts, mobile chargers, etc., can all easily fit inside and be safely stored. The owner’s setup is quick and simple, just enter the price and detailed information of the products inside Qvie via the dedicated website control panel, the door of the cargo unit will lock and then be ready to accept sales. Qvie was developed by combining ideas and technology innovation to lower operational hurdles such as payment in cash, physical product delivery and inventory that are associated with existing C2C business such as the sharing economy (Airbnb and others), traditional flea markets and local tourist specialties. Cerevo aims to contribute to C2C business expansion with Qvie.
.(*) The monthly fee/cost structure has not been decided as the product is still in development. Specifications*Subject to change during development.